For those of you looking to lavender for the season ahead, let this cover act as your guide as the perfect way to pair the colour for sophistication and ultra femininity. 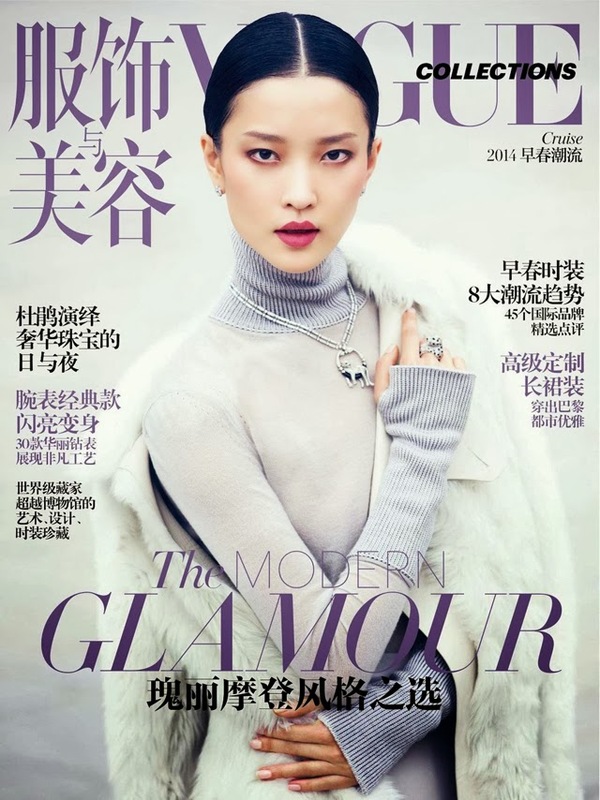 Vogue China have featured Du Juan on their latest Collections cover looking fresh faced and delicate. The real win on this cover is the mix of textures we see before us: ribbed sleeves, sheer body, white fur, wool lapels, diamonds and more. There is definitely an art to mixing so many elements in one look, a look that would appear to the untrained eye as so natural and simplistic. Those stylists, they just don't get enough credit for their incredible ability to make fashion look so easy.